The Calders Green Shoots Community Garden in partnership with Bethany Christian Trust and other locals organisations will be holding an Easter Egg Hunt Fun Day on Saturday 20 April 2019, 12.00pm – 3.30pm. We have been fundraising very hard to give the kids, families, community something back for all their support over the years, so pop along everybody is invited,we will be doing a big hunt for the older children and a small egg hunt in the community garden for the smaller ones, every child will get a egg for taking part, tea, coffee, home-baked, games and more. 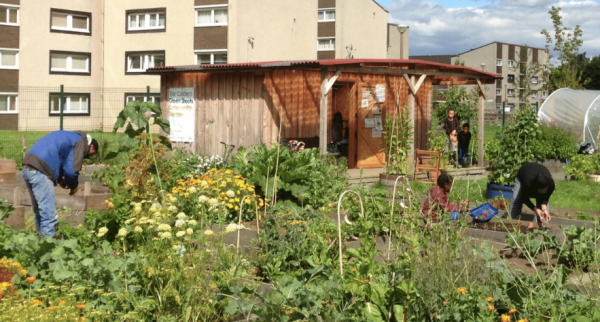 Calders Green Shoots is a community food growing hub for the Calders estate, located next to Sighthill Primary School. The event is free and open to all. For more information contact the Calders Green Shoots Garden on 07954134502 or on their Facebook here.